Posted August 30th, 2016 by Media Heroes. Brisbane is one of Australia’s fastest growing cities and this is certain evident on the roads. Busy, congested motorways, overwhelmed main roads and bumper-to-bumper peak hour traffic are all factors that have led many of Brisbane’s residents to don a helmet and adopt cycling as their primary mode of transport. This is fantastic for a number of reasons; it promotes health, exercise, carbon reductions and a more harmonious city. Sadly, however, some cyclists are quite trepid to enter the seemingly bustling streets on a bike, for fear of falling victim to the traffic or inconsiderate motorists. Fortunately, although these fears are reasonable, there is very little to worry about. Despite what some people think, Brisbane is quite a bike friendly city and there is an abundance of places you can go to ride your bike, whether you are commuting or simply taking in the sights. Many Brisbane cyclists took up cycling as a way of travelling to and from work each day and this is a fantastic use of any bike. The CBD of Brisbane, whilst it is very busy, is a place in which your bike will really come into its own. No longer will you have to worry about being late to work because of traffic, nor will you have to worry about forking out money for expensive petrol or public transport. You can simply get on your bike each morning and ride to work, safe in the knowledge that it will probably get you there at the exact same time as the day before. The city is quite well equipped to facilitate cyclists and the council has long been promoting cycling as mode of transport – new cycling routes are springing up with relative frequency around Brisbane and there has never been a better time to leave the car at home and cycle your morning commute. Not everyone cycles solely for transport, however. Many people favour bikes as a way of relaxing, getting some exercise or simply taking in the sight of a new area in a leisurely and laid back manner. Cycling will achieve all of these things for you and it is remarkable what you can miss when you’re driving. Taking your bike into one of Brisbane’s many suburbs for a relaxing ride is great for many reasons and it is sure to be a hugely satisfying way to spend your free time. Many suburb cyclists are out to improve their fitness and even if that’s not your primary goal, it will certainly be a welcome side effect. Cycling is a great form of exercise, which works both your leg muscles and your cardio fitness, amongst other things. There is no better way to get fit around Brisbane than cycling and every ride is sure to offer a whole host of new and exciting things that you could very easily miss from a car. 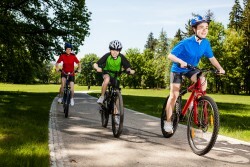 Cycling is also becoming very popular for families and for good reason. 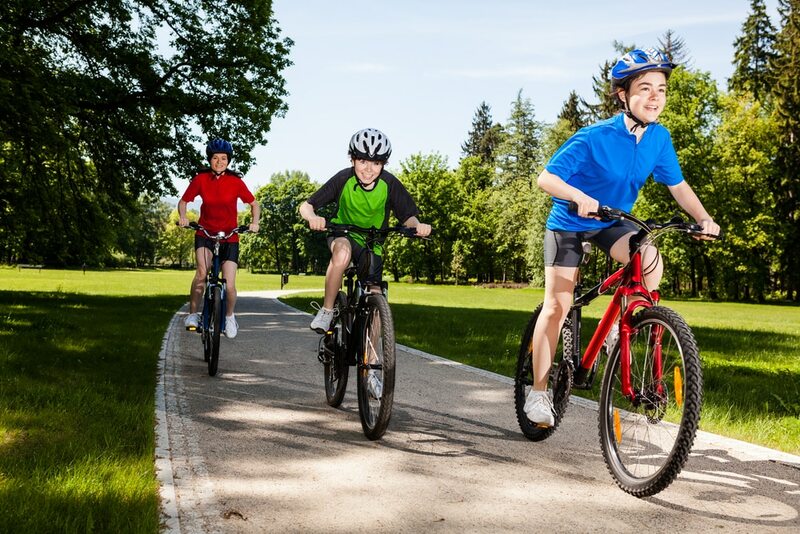 Cycling is very much something you can do at your own pace, which makes it great for kids of all age. It is excellent for using up some of that extra energy that the kids have, whilst allowing you an opportunity to slow down and take in the scenery. Finally, cycling is great for the environment. Bikes obviously emit no carbon and do not require any fuel, which means that you will be doing your bit for the environment every time you hop on the bike. Many people don’t realise how valuable cycling can be in maintaining a clean city and this is simply an added bonus for most. Get in touch with Hoffy Cycles for all your Brisbane bike needs.